How to Build a Successful Drupal Business - It's not about the code! Most businesses grow to the founders ability to keep all the balls in the air. This session will discuss how to take your Drupal business to the next level. There are 5 key things that every successful business must have: Processes, Recruiting, Sales, Finances, and Synergy. This non-technical session is designed primarily for entrepreneurs, owners & managers. +Designing and building a positive company culture. +Recruiting the right team. Getting the right people on the bus and in the right seats! +Creating and executing processes that free your team’s creativity. +How to position your business brand in the Drupal community. +Sales and marketing made easy(er). +Planning for profit – it’s not about hourly vs. project billing! If you’re a Drupal business owners who wants more out of work and life then this is the session you do not want to miss. You’ll walk away challenged to make core changes in the way you do business that will take your company from surviving to thriving – even in a down economy. 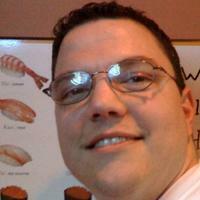 Session will be presented by Ben Finklea, CEO of Drupal SEO company Volacci. Ben is the author of the forthcoming book from Packt publishing called Drupal 6 Search Engine Optimization. NOTE: This is another sneak preview of a session that I’ll be presenting at Drupalcon in Paris. If you can’t make Drupalcon, get a little taste in LA by attending this session! Submitted by Rich Costello on Tue, 2009-08-11 13:36. Hey Ben, I went on a job interview this morning and couldn’t help but think about your presentation on Saturday because I experienced first hand the old school method you were discussing about the businesses and the excessive amount of time they expend on the hiring process. Looking forward to watching the video and sharing it with everyone I know. Submitted by jgordon on Sun, 2009-08-09 12:06. Hey Ben, I was unfortunately unable to make your presentation and I’m bummed I missed it. I heard really good things about it. I am wondering if the presentation was recorded and if so, will it be posted online anywhere?